In Bodh Gaya this December, Thaye Dorje, His Holiness the 17th Gyalwa Karmapa, will lead the ceremonies at the annual Kagyu Monlam. Many teachers of the Kagyu school and thousands of disciples will attend. His Holiness will lead prayers for the happiness of all beings, and will give teachings. 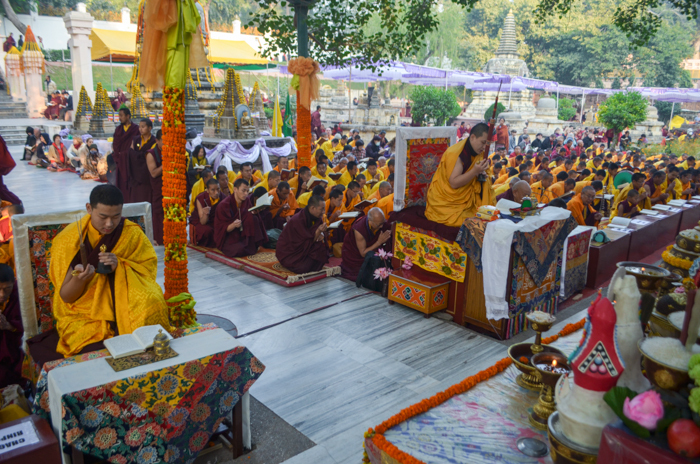 Read more about the schedule of the Kagyu Monlam 2014. Read more about the meaning and significance of the Kagyu Monlam.